Shelly has been with Dr. Thiel for over 7 years. 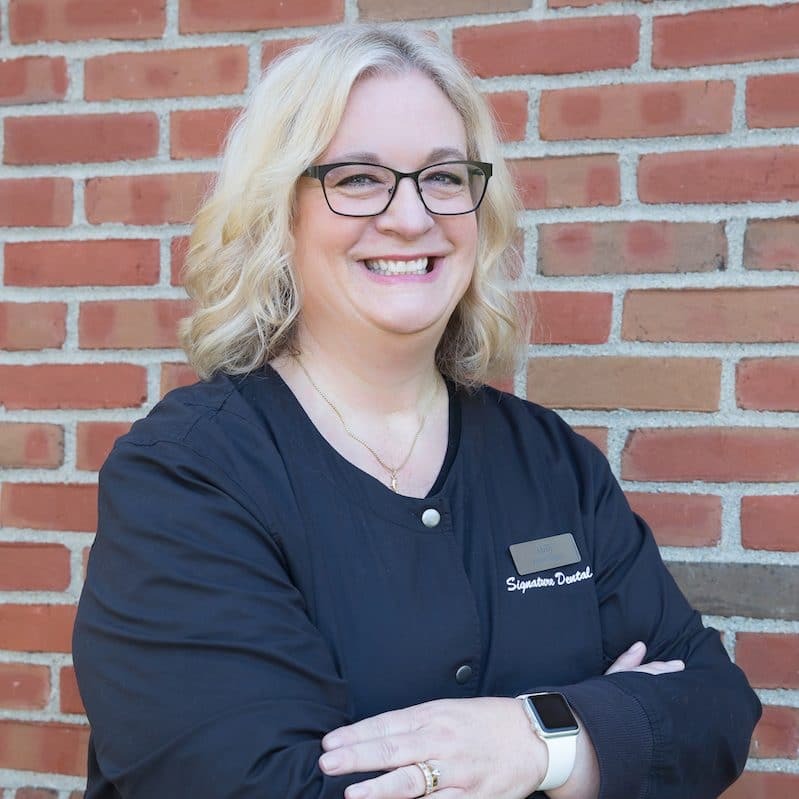 Shelly became a licensed Dental Assistant over 35 years ago after completing a certification Dental Assisting program. She began her career as a Chairside Dental Assistant and took over front office responsibilities when she began working for Dr. Thiel. Shelly loves working with such a great team and getting to know our great patients! She enjoys family and friend gatherings, getting fit, shopping, home decor, and of course, OSU football! She’s been married for 36 years and has a wonderful daughter who is a graduate of OSU, and is at Capital University studying for her BSN.